Is there anything else this guy can't do? We’ve heard of performances turning their geek meter on to insane levels. 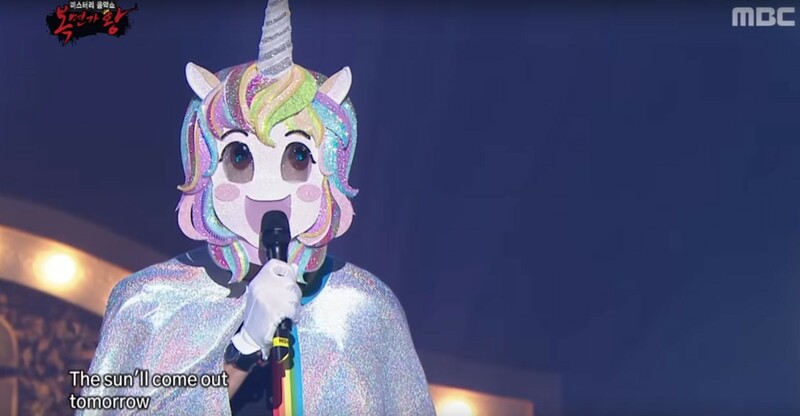 We’ve had that Dragonball dude sing his lungs out over at The Voice Thailand and while that was super epic, this masked unicorn singer over at the Korean show “King of masked singer” is looking to take the title, check it out below! Sure it’s nothing special, I mean the singing was ok, the voice was in tune for most of the performance. You really can’t go wrong with “Tomorrow” from Annie, so this guy gets the nod for me. He was particularly buff though, did anyone else notice it or was it just me? A few moments after the performance and a legendary reveal happened and it turned out to be fricking RYAN REYNOLDS! He was in Korea promoting Deadpool 2 and decided to stop by the show to give everyone a treat! If this isn’t S-class marketing, then I don’t know what is! Not like Ryan Reynolds or Deadpool 2 needs more marketing but hey, it worked! Deadpool 2 opens in cinemas on May 16 in the Philippines so get hyped! Next articleZone of the Enders: The 2nd Runner MARS Remaster Launches This September!